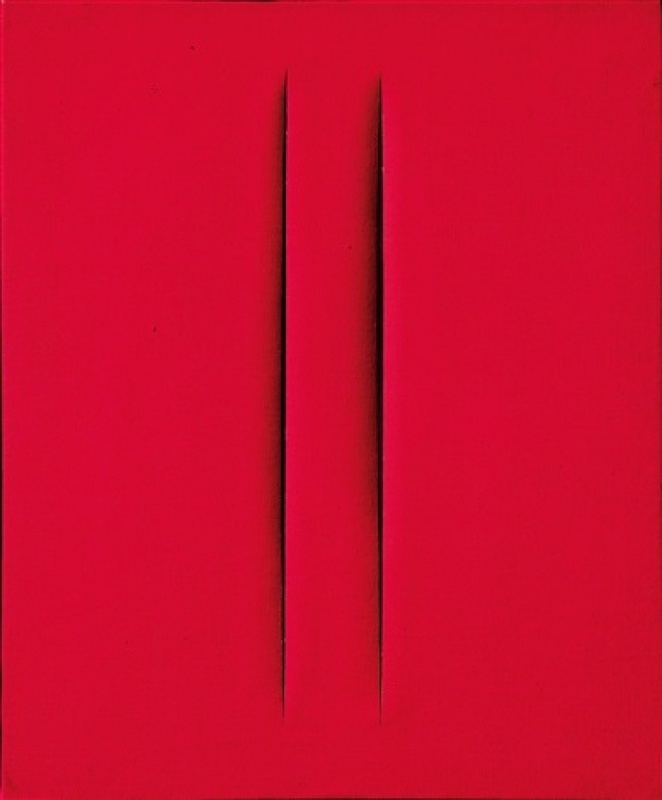 This week we’d like to highlight the work of the Argentine-Italian artist Lucio Fontana. 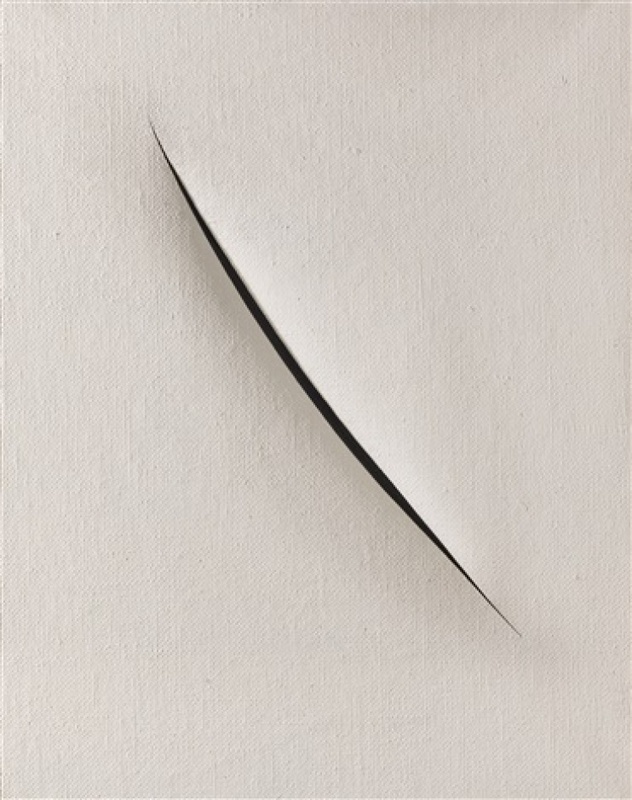 Inspired by Futurism, Fontana was the founder of Spatialism, an art movement that focused on the spatial qualities of sculpture and paintings with the goal of breaking through the two dimensional of the traditional picture plane. Fontana sought to escape the “prison” of the flat picture surface to explore movement, time, and space. ‘ I do not want to make a painting; I want to open up space, create a new dimension, tie in the cosmos, as it endlessly expands beyond the confining plane of the picture’ Fontana’s work was a great inspiration to the Zero and Nul groups.